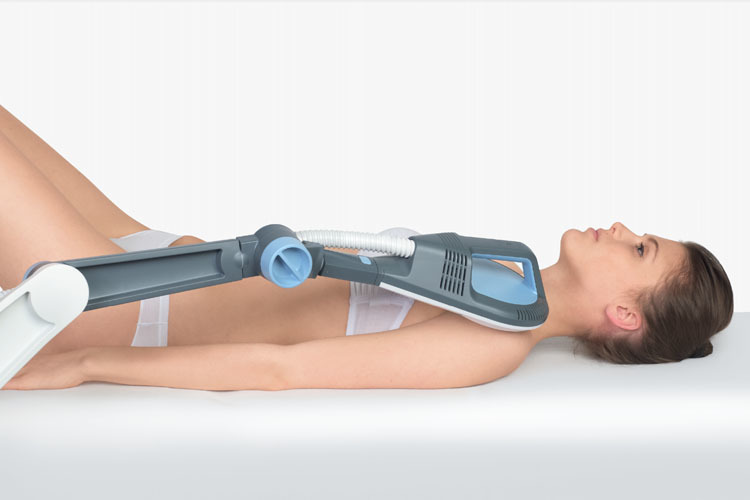 BTL presents an innovative therapy - the Super Inductive System (SIS). The technology is based on high-intensity electromagnetic field, which positively influences the human tissue. Therapeutic effects include pain relief, fracture healing, myorelaxation, myostimulation and joint mobilization. The BTL Super Inductive System features unique high-tech solutions. Ingenious design of the coil in the applicator allows for smooth therapy procedure with the device, even under demanding operational conditions, which are frequencies of up to 150 Hz and intensity of up to 2.5 T. One-of-a-kind is also the coil cooling system, which allows for the most effective cooling and ensures the possibility of prolonged therapy times, even when set to values causing the highest possible load on the device. Both the applicator and the 6-joint arm are tuned to the last detail. For easy and precise setting of various types of treatments, the applicator is equipped with a comfortable handle attached to the device through an arm with 6 degrees of freedom. The arm allows setting the applicator into any desired position. 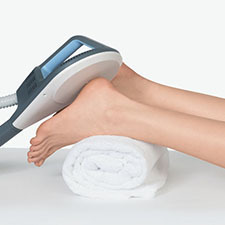 The electromagnetic field emitted by the Super Inductive System applicator ensures precise therapy targeting into areas localized deep within the tissue, while delivering intensities of up to 2.5 T.
Wide range of frequencies assures that the BTL Super Inductive System can be indicated for all stages of painful conditions. Their management is based on three different pain control theories. Each of them varies in frequency spectrum. Therefore the SIS therapy leads to immediate relief at all stages of disorders, whether chronic or acute. Joint mobilization is achieved through repetitive contractions of the muscles surrounding the joint capsule. This repetitive contraction substitutes manual joint mobilization, which leads to joint play restoration. 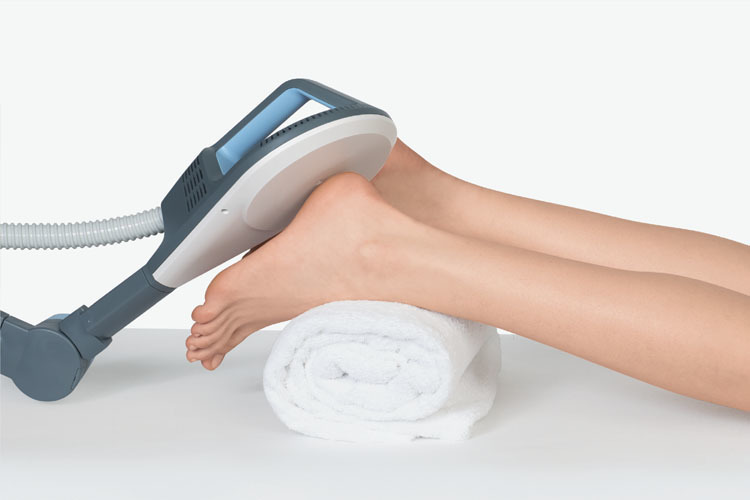 The high-intensity electromagnetic field enhances blood circulation in the affected area and supports formation of the vascular and cartilage callus. Consequently progressive cartilage mineralization and bone remodeling are initiated. Interaction of the electromagnetic field within neuromuscular tissue, results in nerve depolarization and muscle contractions. Based on the selected stimulation frequency, muscle facilitation or strengthening can be achieved. Inhibition of an increased muscle tone is achieved through affecting the spinal level of muscle tone control. This mechanism is indicated for treatment of central motor impairment, in which spasticity occurs.